Sit first; then stand and run! This is a message for everyone, but especially for the young people who attended the Steubenville High School Youth Conference last weekend. And it’s an easy message to remember because it consists of just 3 words: sit, stand, and run. All of us are called to be disciples of Jesus Christ, and being a disciple of Jesus Christ means making the effort to sit, to stand, and to run. But it all starts with sitting! Sitting, believe it or not, has a certain priority over the others. We must sit first, then stand and run. Because if we don’t sit first, we won’t stand very long and we won’t run very well. 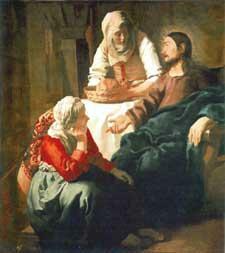 It seems that Mary, the sister of Lazarus, understood this timeless, spiritual truth, while Martha, her sibling, did not. We’re told in today’s Gospel that Mary SAT at Jesus’ feet and listened to him speak when our Lord came for a visit one day, while Martha ran around the house like a chicken with its head cut off! If Martha had spent just a little time with Mary sitting at the Lord’s feet and drinking in his truth and wisdom, I’m convinced that she would have been much happier, much more peaceful—and she probably would have been a much better hostess! When she was serving, her mind would have been focused on what she was doing and not on her anger toward her sister—and that would have made a big difference. Today the Lord says to you young people (and to everyone else): SIT at the feet of Jesus (make that a priority in your daily life); then STAND up for what’s true and good, and RUN the race of faith! But, practically speaking, how is this to be done? What exactly does it mean to sit at the Lord’s feet? Well, those of you who went to the youth conference last weekend should have a very good idea of what it means—because in effect that is what you did for two and a half days at LaSalette Shrine: you sat at the feet of Jesus, who spoke to you through the talks, and the music, and the skits, and the times of prayer and discussion. Right now, you are also sitting at the feet of Jesus, the Jesus who speaks to you at this and at every Mass—even through someone like me! (Now isn’t that incredible?! Who says miracles don’t happen?!) Having a daily, regular prayer time is yet another way of sitting at the feet of Jesus. So is coming to Thursday night prayer group. If you’re not sitting at the Lord’s feet in ways like these, you will not be able to “stand” for very long, if at all. That is to say, you won’t be able to stand up for what’s right and true in the midst of the world’s temptations and lies— because you won’t have either the knowledge or strength to do so! Sit first; then stand. A teenage girl who comes to prayer group on Thursday nights defended Pope Pius XII in a term paper she wrote this past spring for one of her classes at Westerly High School. Pius XII has been condemned by many people in recent years for his supposed “silence” during World War II in the face of the Nazi atrocities against the Jews. But the truth of the matter is, Pius XII was not silent, and through his words and actions hundreds of thousands of Jews were saved from the Nazi death camps. This girl made that clear in her paper, she backed it up with historical evidence, and she got an A+ for a grade! She stood up for the truth effectively, because she sits at the Lord’s feet regularly—at Mass and prayer group in particular. St. Paul in his letters talks about “RUNNING the race” of faith! That’s what this life is supposed to be all about; that’s the real meaning of human existence. “Running” in this sense means following God’s call, growing in personal holiness, spreading the Gospel message, performing works of charity—and making a concrete difference for Jesus Christ in the world! But it all begins with sitting! Sit; then stand and run. That’s the way to run the race of life successfully; that’s the way to keep your Steubenville experience alive. But most importantly, it’s the way to stay on the road to heaven and win the prize of eternal life! This was the lawyer’s question to Jesus in today’s Gospel passage from Luke 10. But this also needs to be our question! Each of us needs to pose it and answer it in our own heart—honestly!—and then we need to compare our personal responses to the one Jesus gives in this text. Now to properly understand Jesus’ answer, we need to “modernize” and “Americanize” the main character of the story, the Samaritan. We’re told in the parable that a man traveling from Jerusalem to Jericho was attacked and beaten by robbers, and then left to die on the side of the road. This man—this innocent victim—was clearly Jewish, as were the two people who went by but refused to help (the priest and the Levite). The only one who stopped to lend a hand is identified as a “Samaritan.” And he didn’t just put a Band Aid on the suffering Jew and then continue on his merry way; he treated the beaten man like a brother! He cleaned his wounds and wrapped them in fresh bandages, and he provided for the man’s continued care. Now Scripture doesn’t tell us what the lawyer’s face looked like when he heard all this, but I’m quite certain he wasn’t smiling, because at the time most Jews and Samaritans hated each other! 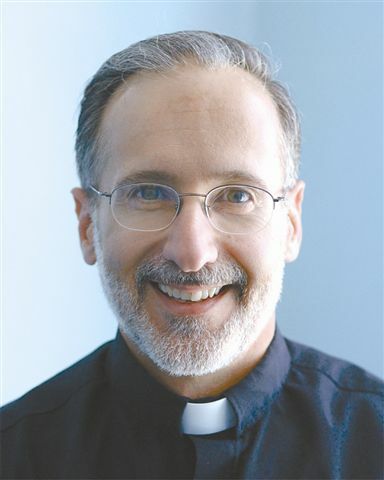 In fact, I don’t think it would be a stretch to say that Jews and Samaritans of the first century normally had the same attitude toward one another that radical Islamic Fundamentalists currently have toward citizens of the United States! So, if you want to experience the force of Jesus’ message in the same way that the Jewish lawyer did who first heard the story, imagine two Americans neglecting a fellow citizen of theirs who had just been beaten and robbed, and a radical Islamic Fundamentalist coming to his aid and treating him like a member of his own family. We currently live in a world where many people think of their neighbor as “everyone but . . .”—everyone but the unborn baby in the womb; everyone but the embryo with those stem cells I want; everyone but those people who have a skin color different than mine; everyone but the person who hurt me and my family; everyone but the man in the persistent vegetative state; everyone but [fill in the blank]. 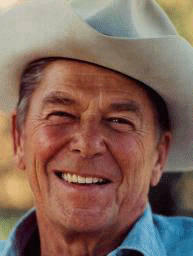 Do you know what always impressed me about Ronald Reagan? It was that he considered John Hinckley to be his neighbor (in the sense that I’m using the term “neighbor” in this homily)! 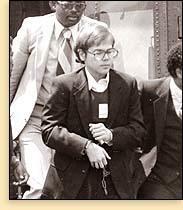 John Hinckley, of course, was the guy who tried to kill him back in 1981! And yet, Reagan forgave Hinckley—publicly; he called him a “misguided young man,” and refused to allow hatred and bitterness to fill his heart. He didn’t say that Hinckley should go free—nor should he have said that!—but he never forgot that Hinckley was a human being with an immortal soul. In that he was just like our Holy Father, Pope John Paul II, who forgave the man, Ali Acga, who shot him in St. Peter’s Square in May of that very same year, 1981. Jesus said, “Everyone”; he did not say, “Everyone, but . . . “.